Stolen Horse International, aka NetPosse.com, will launch its NetPosse Crime Watch pilot program to help form closer links with horse farm owners and the crimes committed on the farm. The NetPosse Crime Watch team is working on setting up an early warning system so that owners and riders can be contacted with information about possible crimes in their area. 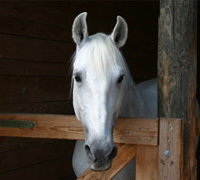 Sometimes information comes to the attention of Stolen Horse International which is not a crime but is suspicious. This information can be passed on to alert owners of possible threat. Also information about stolen horses, vehicles, equipment and other farm related crimes can be circulated quickly to members of the program. “We have found that the people who steal horses and tack are involved in other farm crimes as well, such as cattle or tractor theft. A thief is a thief and in hard times theft increases. We hope this new program will help all of us raise our awareness when a farm crime happens around us, which may also help us protect our horses and equipment,” says Stolen Horse International founder, Debi Metcalfe. 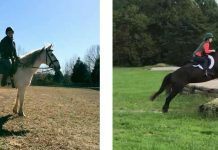 If you see anything suspicious in your neighborhood or know of a crime committed on a farm that we do not know about, contact Stolen Horse International at stolenhorse.netposse.com. This program will be successful if people join together to help one another. This has been the core of NetPosse.com for years. Now we are inviting the public to become active in protecting their own, together. The program, which is open to all, will be posted through the NetPosse alert system using Twitter.com, in 140 characters or less. You can even receive these alerts on your cell phone! As soon as NetPosse hears, you will hear. To keep up with alerts, go to twitter.com and follow NetPosse. More information or to report a suspicion or farm crime situation contact, stolenhorse@netposse.com. Put FARM CRIME in the subject line for immediate attention. I am glad they are helping people who have had their horses stolen. Good idea. I’m trying to ID chip my horse but he’s not cooperating. there, so they would not be slaughtered. The Kentucky Derby is coming up soon ! !